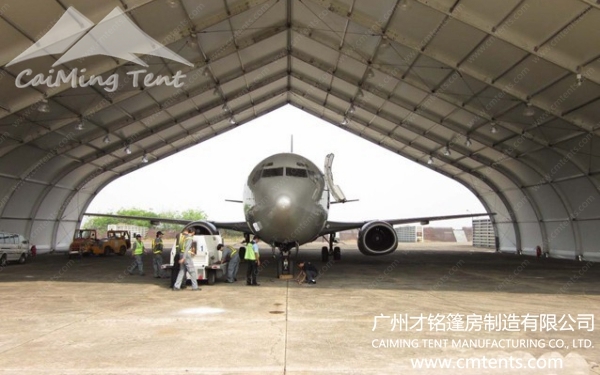 Not only the aviation industry use our clearspan tents as their maintenance shelters, but also the mining industry, oil & gas industry, power/energy industry, manufacturing industry use our tents for their maintenance facilities. 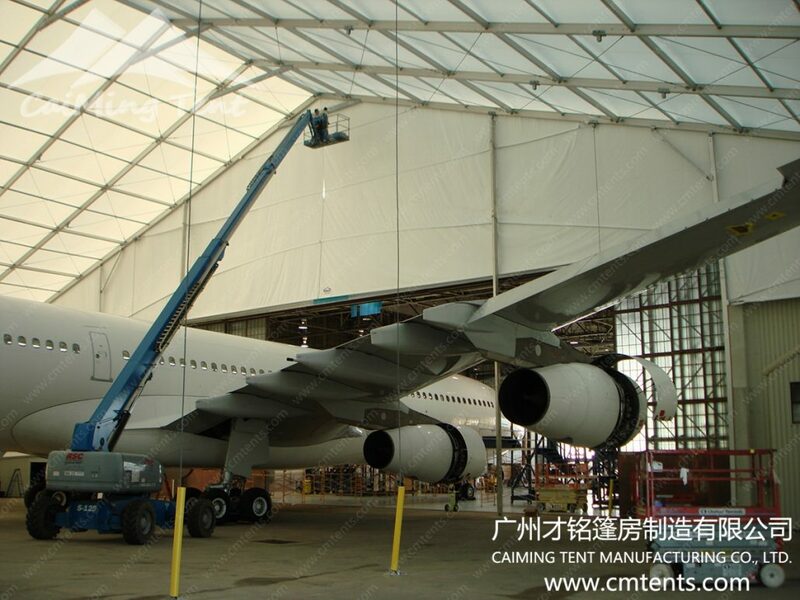 Scheduled maintenance, modification and upgrade programmes and AOG repairs are all facility. 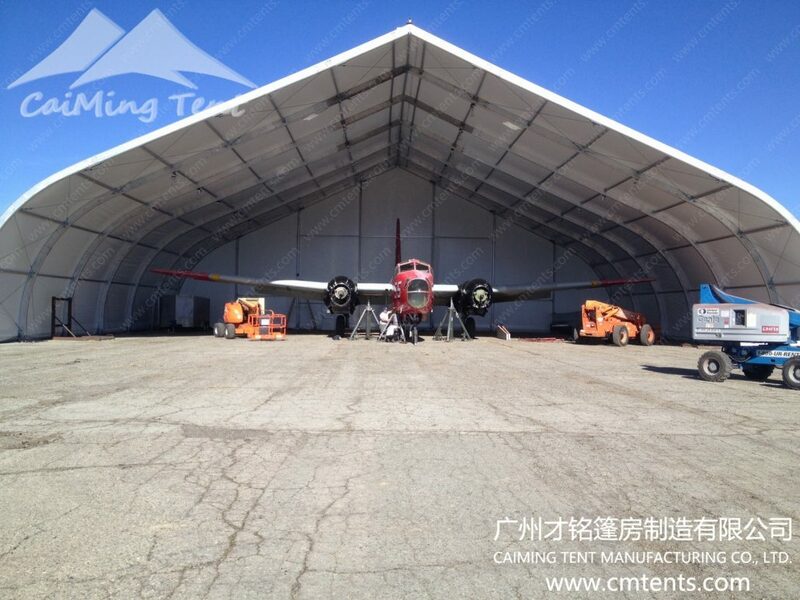 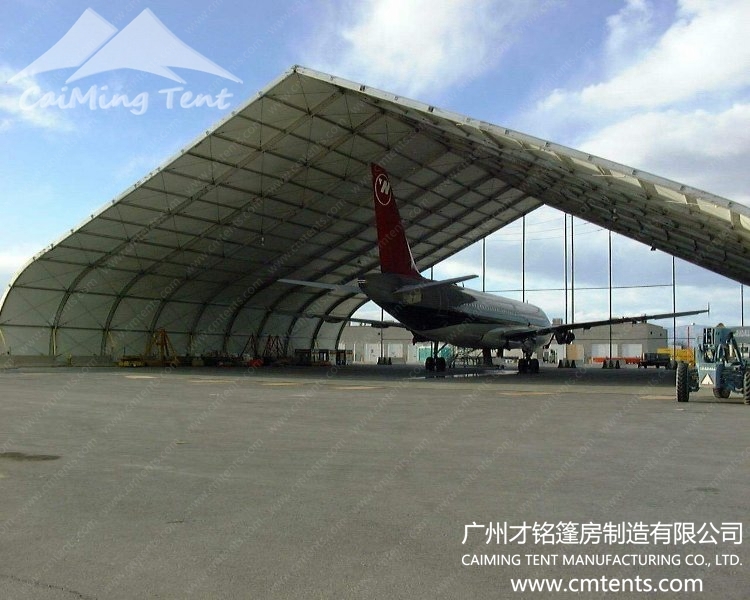 When aircraft cannot be moved and there are no hangar facilities on site, then the maintenance shelter makes full use of advantages, as they are immediately available, easily installed, and lower cost. 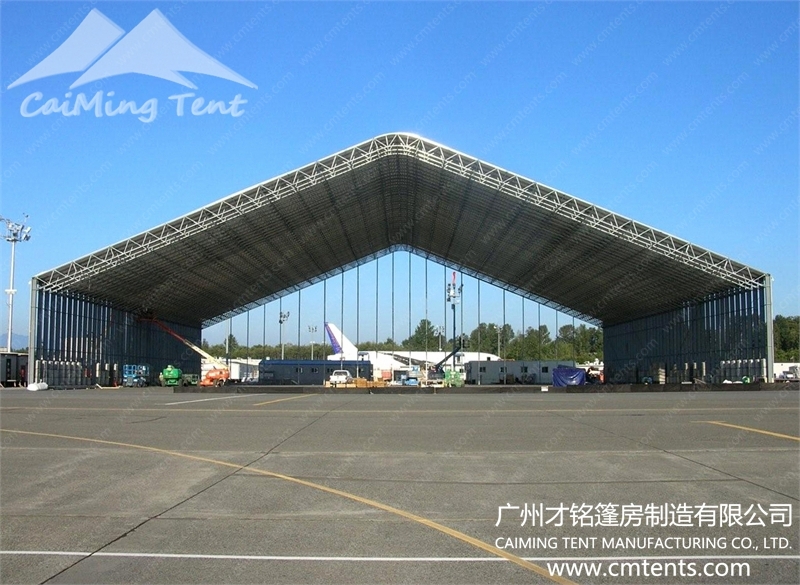 Especially, for the mining industry, oil & gas industry, and power/energy industry, they usually in remote mountainous regions, which make the clear span tent structures highlighted, compared to conventional buildings. 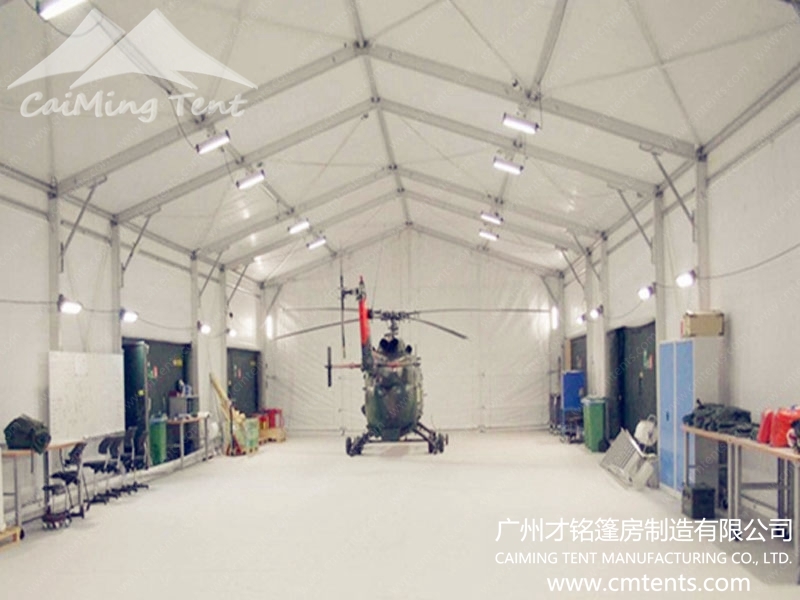 CaiMing Tent structures are as strong and durable as permanent structures, but so lightweight that they can be conveniently transported and quickly set up or relocated, almost anywhere in the world, and besides with limited foundation requirements and design. 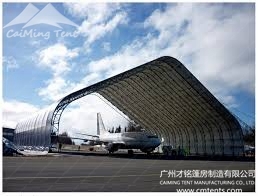 With an almost indefinite lifespan, CaiMing Tent structures give aircrafts, helicopters, vehicles, etc all-weather protection.